8.1 So, How Much Protein Does A Dog Need Per Day? Taking record of the dog weight, you have to weigh your dog from time to time, this enables you to know when your dog gains or lost weight and you should keep a record of it. By keeping this record, when there is a need, you should present it to your vet, also keeping record helps you know when you are doing the right or wrong things especially if are trying to help your dog gain weight. Taking the dog to a vet, before you attempt to help your dog gain weight, you should visit the animal doctor first, weight loss could be caused by illness such as diabetes, cancer, hepatitis and bowel inflammatory disease can cause weight loss. The vet is in a better position to know if your dog is ill or not, and if the dog is ill it may require treatment and medications to fight off the illness, if not whatever you do to help the dog gain weight may be futile and cause more harm. Know the recommended weight, knowing your dog ideal weight is vital and you can do this by asking your vet for the BCS (body conditioning scoring). This helps to know if the dog is thin or heavy or in the right weight, and if it is determined the dog is underweight, ask the vet for advice on how to help your dog gain weight. You can see the waist, and you see the ribs while touching the side without seeing the ribs line, also the belly is curved upwards meeting the ribs. You can see all the ribs, hip bone or backbone. Remember that some breeds are much thinner than others like Greyhounds, Border Collies, and Pointers. Dog deworming, knowing if there are intestinal parasites is also vital, you can find out about this by visiting the vet or diagnosing and deworming/treating your dog yourself. The presence of parasites in the intestines can cause your dog to be underweight, this is because the parasites feed on the nutrition in the food the dog consumed. Exercising your dog, lack of exercise can make your dog gain weight, and too much exercise can cause them to lose so much weight. Your dog may have arthritis, metabolic diseases and neurological difficulties which can lead to wasting, visiting the vet before taking out difficult exercise is important because these cases will need proper and adequate treatment by the vet. Doing this will prevent further harm or injury to the dog. Taking out walks with your dog while on a leash will enable the dog, not to over exercise and prevent injuries, also taking the dog for a swim is highly recommended because its safe. Increase your dog’s diet, increasing your dog meal can help your dog gain more weight. This can be done by increasing their daily meal to a double portion, this will increase their calories, instead of changing their diet. Check the quality of the food, there are different dog food out there, making sure your dog eats food which has the right calories and balanced nutrition is very important. Checking the fat and protein content of the food they are eating. Reading the label on the dog food to know how much calories per cup the dog food contains. Look out for dog food which the contains protein (beef, chicken, lamb). Look out for dog food which contains carbohydrate (corn, wheat). If you are not sure of the contents, speak to the manufacturer on phone or their website. Ask your vet about recommended daily nutrition and calories for your dog. Add some normal human food to the diet, you can add some human food to your dog’s diet will help increase their appetite, this is non-fatty food, none salty chicken broth. A tablespoon of non-fat, no salt broths can add flavor to dog food. Tablespoons of a roasted chicken with skin. Boiled egg or plain sardines. Change diet, you can do this by trying different types of food if your dog has no changes from the previous food they are eating. Try feeding your dog with high-quality food, homemade dog food, or a wet canned food which is high quality. To know high-quality food, the label should firstly list out the ingredients formulation as a protein which consists of chicken or beef. Speak to your vet for a recommended balance nutritional recipe if you are giving your pet a homemade food. Do an intensive research into dog food recipe if you are venturing into homemade food. Water in dog food, try adding some hot water in the dog dry food the let it cool before serving, this can appeal to the dog to eat more. Dogs like humans share similar body weight, and in most cases, they are likely to be overweight than underweight. In most cases, different conditions and circumstances can cause the dog to need more calories. There are different supplements and dog food that can help your dog regain a healthy weight. It is also wise to consult your vet before making a decision, because for a dog to be underweight, there may be an unseen illness that could cause that. Your vet is in the right position to make suggestions. Be sure the first ingredients should always be protein (meat). The first ingredients are usually the much bigger quantity the product contains. Lamb and chicken are mostly easy to digest for dogs. A meal is much like a protein powder, it is made by downing a stew-like mixture to increase its potency. This is down by eliminating water per ounce. If it says just poultry doesn’t mean its chicken, it can be a combination of different types of poultry. Stay away from grains as this can irritate dogs stomach. Seek for potatoes, oats, and/or brown rice for fiber and carbs. Just saying brewers rice on a label, this should not be in top ingredients as it is a cheaply processed carb and a filler. Flaxseed and fish oils, this is very good for dogs skin and coat. If it contains fish oil, then its good quality. Dog food with few antioxidant ingredients in it. This antioxidant can be blueberries and broccoli. 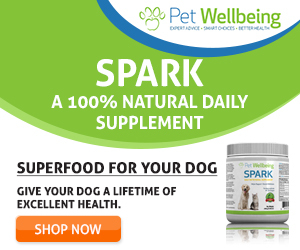 If it contains vitamins, then its good for your dog’s daily multi-vitamin. If it says natural preservatives, then its good for their diet. For an active dog, the protein percentage should 25% – 30%. Most Vets advice to stay above 15%. Usually, it is said that too much protein (above 15%) can cause renal failure, but that has since been said to be untrue. Here is the list best dog food to gain weight and muscle, with there ingredients contents, pros, and cons. Dogs are an omnivore in nature and can virtually eat anything, but for a healthy dog, planning its meal is vital. A dog’s natural diet includes protein, but they also need carbohydrates, fat, and minerals. Dogs need so much protein in their diet, and this consist of about 56% of their diet, this is for hunting dogs, and usually, domestic dogs don’t need so much protein. Dogs prey has so many natural fats and thereby having about 30% fats with more activities (hunting dog), but domestic dogs don’t need that much fat due to less activity if it does then the result will an obese dog. Dogs natural meal is not a carbohydrate but does need it for energy and fiber, but this shouldn’t be more in their diet than other nutrients especially protein. So, How Much Protein Does A Dog Need Per Day? Protein needs in dog depend on the breed of dog, weight of dog and dog activities. If a dog does so much activity and if the dog is bigger, then it needs that much protein to keep up than a dog which is an opposite. Dog food should consist of at least 30% protein, even though with already made dog food these figures are hard to achieve. Most of these dog foods have more carbohydrates than protein, its up to you the dog owner to make up for this by adding more protein source like chicken, beef or lamb. Can too much protein in dog food cause diarrhea? The answer is YES. Dogs need protein in their food, but too much protein in the dog food can cause diarrhea. To avoid this happening, you have to make sure your dog eats a balanced diet, allowing your pet eat anything or everything which is unbalanced diet will cause some damage to the kidney. Dogs do not store protein in the body to use later, because the body passes out excess protein in its poo and urine, this causes the dog’s digestive system and kidney to work harder than usual. Always check the label and try to make up for it and if you are doing home cooking, follow the recommended dog food chart for daily requirement. The right amount of fat will not only make your dog grow stronger but also help them gain the right weight, promote healthy fur and skin and build the right dog muscle. Every dog need fat in their meal/diet, this helps them grow and transport minerals and fat-soluble vitamins. For crude fats which are questionable in terms of resources, it is vital if you find dog food which contains less crude fat. But there are some natural resources which you can use in your dog’s meal like dog food supplements, which are fish oil and canola oil. Best dog food to gain weight and muscle. Most dogs get a complete balanced diet from commercially processed dog food, they get all necessary vitamins and minerals. But dogs which eat homemade food usually need dog food supplements. Here are some dog food supplements you can add to your dog diet. Smaller dogs that are less than 10 lbs may find more strength from human fish oil capsules because it does have less than 200 mg EPA per does. If you want extra strength supplements, then you will have to go for high dose supplements. If your dog will not eat the capsule, then liquid supplements are preferable. Pure Wild Alaskan Salmon Oil for Dogs & Cats – Best For Scratching, Joint Pain, Skin & Coat, Immune & Heart Health. All Natural Omega 3 Liquid Food Supplement For Pets. EPA + DHA Fatty Acids. I’d suggest for all of y’all to buy some red cell and blend it with the Goebbels you feed your dog and to feed him some raw meat and mix it together and add fish oil but if you don’t have fish oil any other oil will do to and then i promise you your dog will be in great shape. Thanks for your great information.